July 15, 2011 July 25, 2018 Joanna V.
If you have ever been on a road trip with me, or otherwise confined with me for any length of time whatsoever, I’m sure you’ve at some point heard me say that I don’t believe in North Dakota. North Dakota is not a real state. It’s a government conspiracy, and exists to house military bases in order to protect us from Canada. Canada is secretly a huge threat; the friendly nature of Canadians is just a front. They will smile at you until you don’t suspect a thing! Anyway, I’ve been pointing out for years just how far the conspiracy goes; North Dakota is carved into monuments, has a star on the flag, even has its own state quarter with all the rest. But that’s what they want you to see. All of the “Look at that lovely state, North Dakota!” is only there to distract you from the truth that North Dakota is fake. Don’t get me wrong, there is real land up there. And Fargo’s a real place. I’ve been. 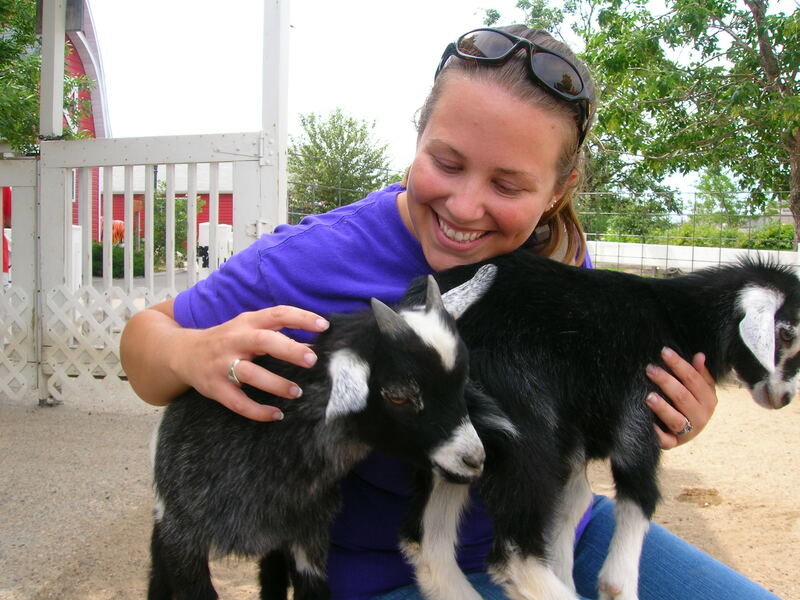 I cuddled baby goats there at the Red River Zoo. But for some reason the highways all run along the borders of the state, and there aren’t any major cities or towns that aren’t along the edges. 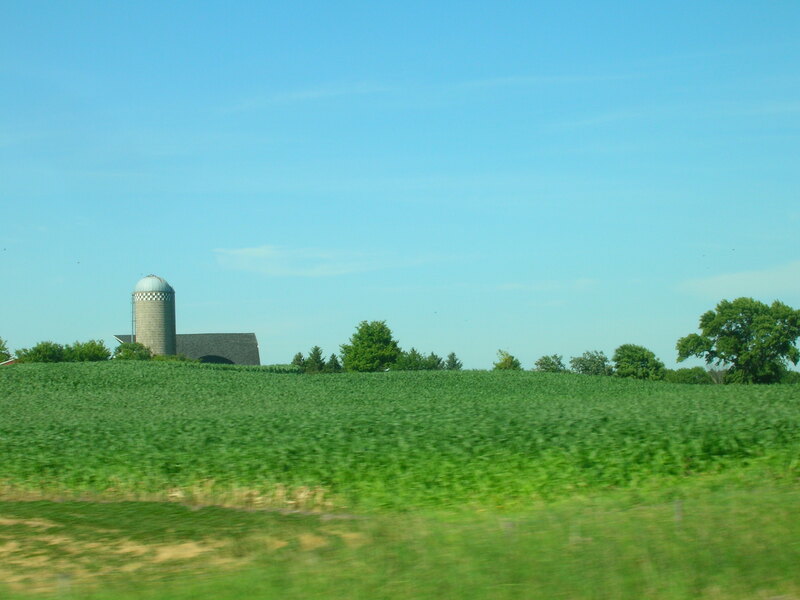 The entire middle is just a vast area of farms. With silos. You know, the sort that can easily conceal secret military arsenals. Almost everyone you meet from North Dakota is either in the military or their spouse or parent is in the military. Occasionally you will meet farmers from North Dakota, but don’t let them fool you. They’re all part of the cover-up. The “important events” that have happened since North Dakota “became a state” all happened in South Dakota. Seriously. ..but today I found out that I am right. North Dakota is not a real state, and I have a historian (and also a congressional bill) on my side! It’s interesting to me that this silly little blog post has continued to be my biggest draw, traffic-wise. It was written to be entirely tongue-in-cheek, and yet (as you can tell if you skim the comments below), it doesn’t seem to be taken that way. But let me emphasize: this was a joke, and is accompanied by photos of my visit to North Dakota. It is meant to satirize conspiracy theories, which I enjoy but are nearly all pieces of absurd fiction. I have now closed comments. And if you’re into sci-fi and time travel, why not check out my YA book, Threadwalkers? Previous postI have more flats than anyone else I know. It’s posts like these that rely tick me off. I am sorry, but have you even done your research? Most people from here AREN’T in the military–they’re farmers whose ancestors homesteaded here generations ago (I live on my great great grandfather’s homestead) and not all major cities are on the border. (Bismark) There’s just so much wrong here. Maybe you should spend some time with some North Dakotans and really get to know them. (And btw, Canadians are awesome.) Just because not many people live here doesn’t mean we don’t exist. Plain rude. You know you sound like a crazy Meth head. Take that for what you will. There are certain areas of north Dakota that are military related, ask me I’ll tell you what I know. However much of the state where you claim is silos for undercover military operations is simply farms… With old people who live on them or have been passed onto their children once they die and sit abandoned. 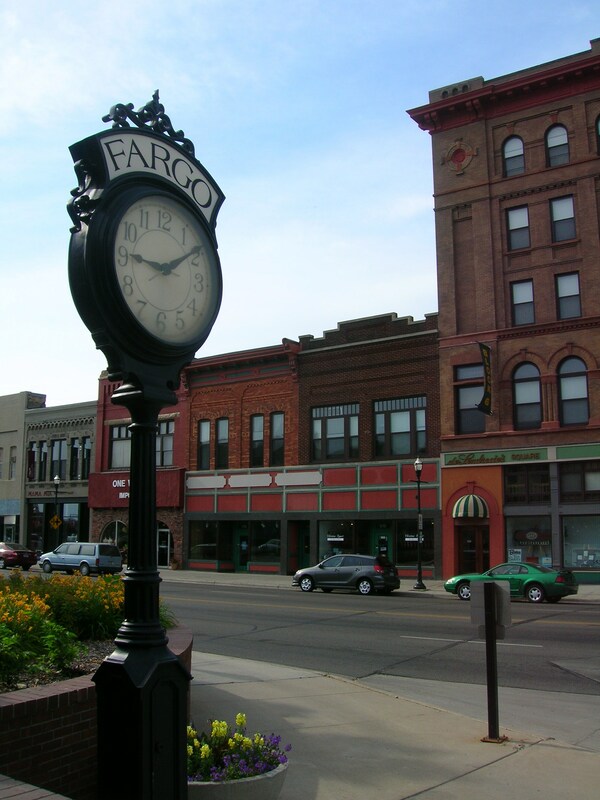 Especially using Fargo as your basis, Fargo is much more non fake than most cities. You should have visited other areas for a more fake aspect. Your blog holds no water until you have thoroughly investigated those areas but be mindful that north Dakota used to house toxic waste in the soil so you might end up with cancer. As a real crazy meth head, i can confirm that North Dakota does not exist, and it is actually a front for meth dealing. you think that storing nuclear bombs isn’t shady af? open your third eye, my dude, wake up and smell the toxic fumes of your precious north dakota wasteland. Uh when you said all the cities are ion the outside you were wrong. What about Dickinson, Mandan/Bismarck , and Minot? I live in North Dakota, I read this and started to cry with laughter. I don’t like hearing bs like this when your pretend like your state is real to cover for your government. I know your secret: stop pretending you are from this planet. I was very intrigued by your post. It was very though provoking to say they least. I honestly do not think that many people consider that to be an option. Minot is indeed a great place. I concur! Why not Minot? Why do people not consider Minot to be a real place. This conspiracy does not fit in with my worldview so I think I will reject it. However, I have recently seen a theory that North Dakota may soon become a province of Canada which is an interesting concept.